So, I did it. 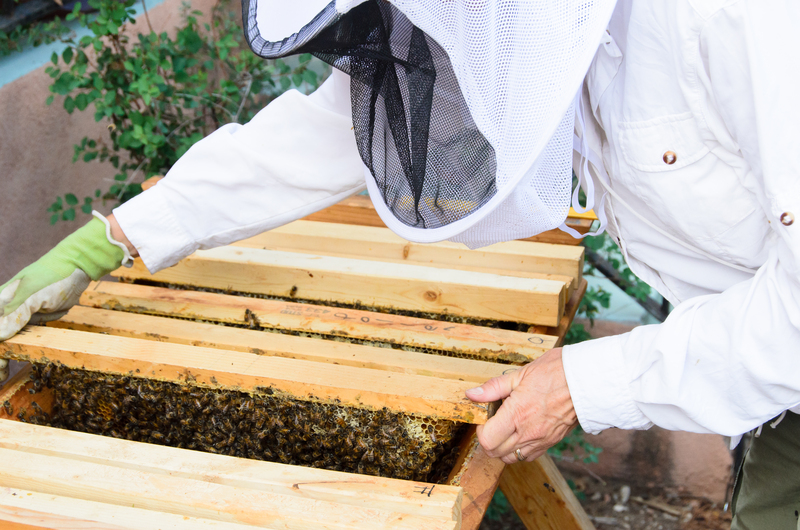 I went before the City Council, and it was a very positive and warmly received 2 minute (yep, that’s all I got) presentation on how we might become the very first Bee City USA in the Southwest—certainly in New Mexico. I should’ve worn my bee suit. Now why didn’t I think of that? Support came from multiple corners and afterwards I had the chance to talk with one of the directors of Albuquerque’s key players when it comes to spraying. The department that manages all our medians and roadways. They have very big tanks sloshing with chemicals, on very big trucks with men in gear spraying invisible things on rocks. I know there is a method to their madness. I just want to find out what it is. We have a meeting set up November 12. He is going to invite all the other departments that manage our open, green spaces. Windfall. I assume that you, my well informed readers, already know the plight of bees. If not, I will reiterate that honeybee populations are crashing around the globe due to habitat loss, climate change, GMO’s and pesticides— all causing colony collapses of up to 50%. Since pollination is so key to our food security and just plain culinary pleasure(more than 80% directly or indirectly associated with bee pollination—think almonds, blueberries, apples, avocados), it makes alot of sense to work on keeping bees alive now. I’m pretty sure that most of us don’t really get what it would mean to have bees disappear. If you are like me, I suspect you often fall prey to magical thinking. “Oh, we can just get bees or food from another country!”. It’s possible. Much of our food does get jetted in like “spoiled little movie stars”, according to Barbara Kingsolver. But if we became dependent on other country’s food sources, we could not guarantee that they have the same safety or health regulations for their food. And finding bees from other countries? They would still crash as fast as we could import them. Other thoughts would be hand pollination. Really? Well hire on those undocumented immigrants. We will need them. And the final belief is that technology will save us. Robotic bees are being tested even as I write this. I will hold my tongue. So I thought I’d tell you a bit about what a BEE CITY USA (http://beecityusa.org/) looks like, just in case you want to work on your own city/town. working towards an integrated pesticide management by the Municipality, to be carried out with the least ill effects on pollinators. 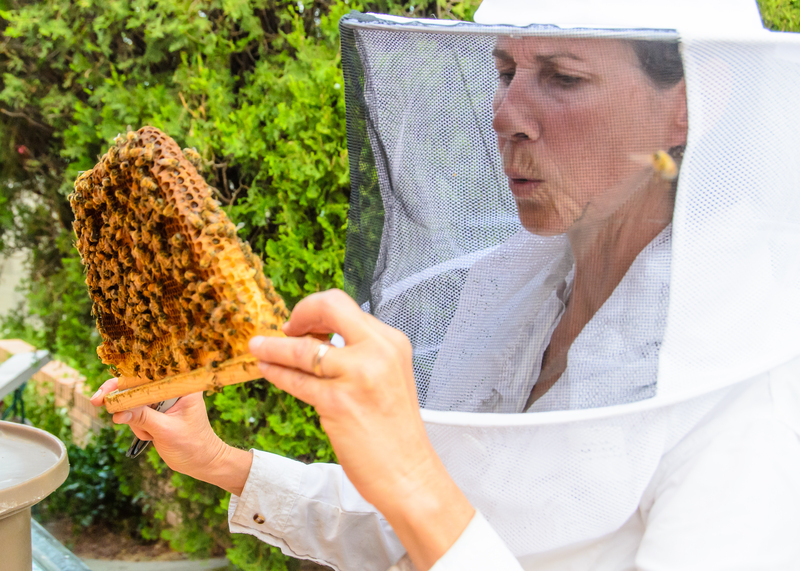 a position embedded in one of the city departments, which will be funded and fully supported to succeed changing administrations and act as a liaison to the community, beekeepers associations and municipality to review this designation and ensure bee health. Easier said than done. The elephant in the room is pesticides. But some cities have been able to get the job done—notably Seattle, Boulder, Ashville, N.C., Takoma Park, MD, and Ypsilanti, Michigan. They have managed to reduce or eliminate heavy pesticide use from RoundUp to Neonicotinoids, by using intensive mechanical means of removing plants (short hand for hiring people to pull weeds the good old fashioned way) and planting native habitat to crowd out “weeds” and attract beneficial bugs.Perhaps the biggest hurdle to bee friendly cities is our outdated notion that nature has to be nice, neat, manicured, and domesticated looking. Nature is notoriously messy and gloriously prolific. What we usually call “weeds” are really bee friendly pollinator habitat with lovely flowers. Think dandelions and goatheads. Perhaps these cities have come to some peace with weeds in order to save pollinators. Besides, dandelions are the first cheery welcome sign that Spring offers as bees come out of hibernation, lean and ravenous for some food. Your homework this winter is to learn how you can create bee friendly spaces in your yard. Plant pollinator friendly habitat with GMO free seeds. Do some research and find beneficial insects that eat those little nasties on your favorite roses, (e.g. praying mantis, ladybug, lacewing) and stock your yard with these in the Spring. Check out non-toxic applications for unwanted plants. Diatomaceous earth, vinegar, soapy water, epsom salts are safe and cheap ingredients(http://www.greenandhealthy.info/safepesticides.html). Let’s link arms together and call upon our communities to become bee friendly places. Let’s face it, bees are the canaries in the mine for us. ← Bees at the City Council? Thanks for carrying the message to the City Council. We appreciate your efforts. Wonderful to hear from you Harriet! Thanks so much for your support. Hope to see you at Synergia in November!